The Georgian Chess Federation is bidding to hold the Chess Olympiad 2018 and the World Cup 2017 in Batumi, a popular resort on the Black Sea. The proposed budget for both events is exceeding 20 million USD. 1,6 million USD is allocated for the travel fund for 80 Nations, while around 2 millions USD will be spent on parallel development and promotion programs in Europe and the rest of the World. All teams would have equal conditions with accommodation in 5-stars luxurious hotels. IM Jonathan Hawkins and GM David Howell shared first prize at this year’s British Championship in Aberystwyth in West Wales. With only two days to go before the Chess Olympiad Troms? begins, Susan Polgar reports from the scene on last-minute preparations, taking a look at the venue and artwork by the official Olympiad artist Chris Reddy. Photos from Tromso Chess Olympiad. More will be added multiple times daily. 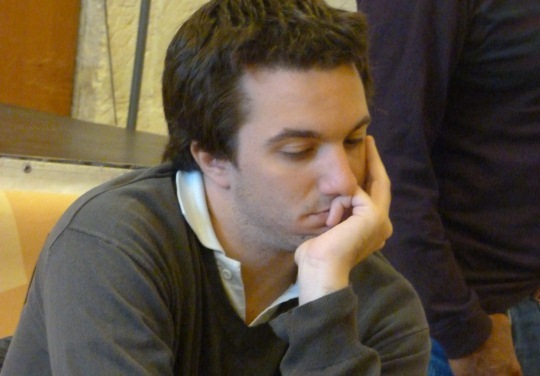 You are currently browsing the Chess blog archives for July, 2014.